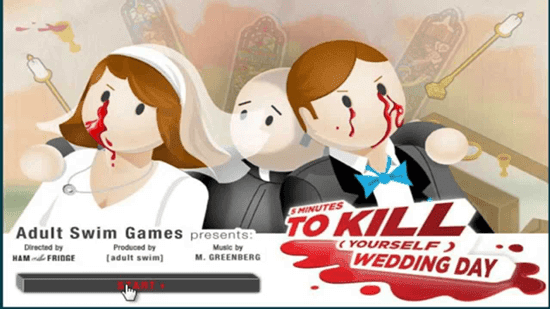 5 Minutes to kill yourself: Wedding day is bloody game which takes place at a wedding venue. This wedding really stinks. Try your best to kill yourself in the wedding to avoid wedding. Can you find a way to escape from wedding? To enjoy this wedding game, go to the flash game given below.